There are 21 engineering colleges in Tamil Nadu that has made it to the list of Top 100 engineering college in India which is a greater number compared to previous year (2018). Tamil Nadu ranks #1 best state for best engineering colleges by obtaining 21 places in NIRF top 100 ranking. 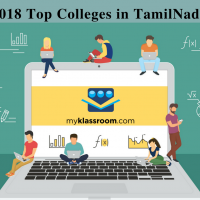 Even the number of Arts & Science colleges from Tamil Nadu in top 100 All-India ranking list is higher (Click here to view the Best Arts & Science Colleges in Tamil Nadu). IIT Madras is ranked as the best Engineering Institution in India. Here is the list of best Engineering colleges in Tamil Nadu.